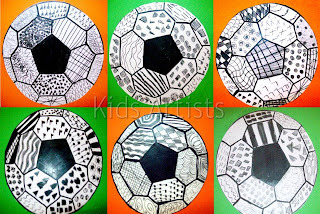 Kids Artists: The most beautiful soccer ball! 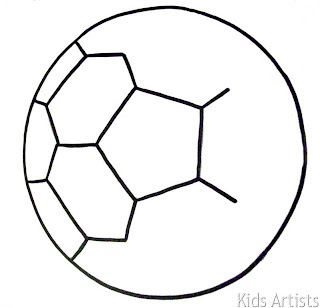 Most modern footballs are stitched from 32 panels of waterproofed leather or plastic: 12 regular pentagons and 20 regular hexagons. 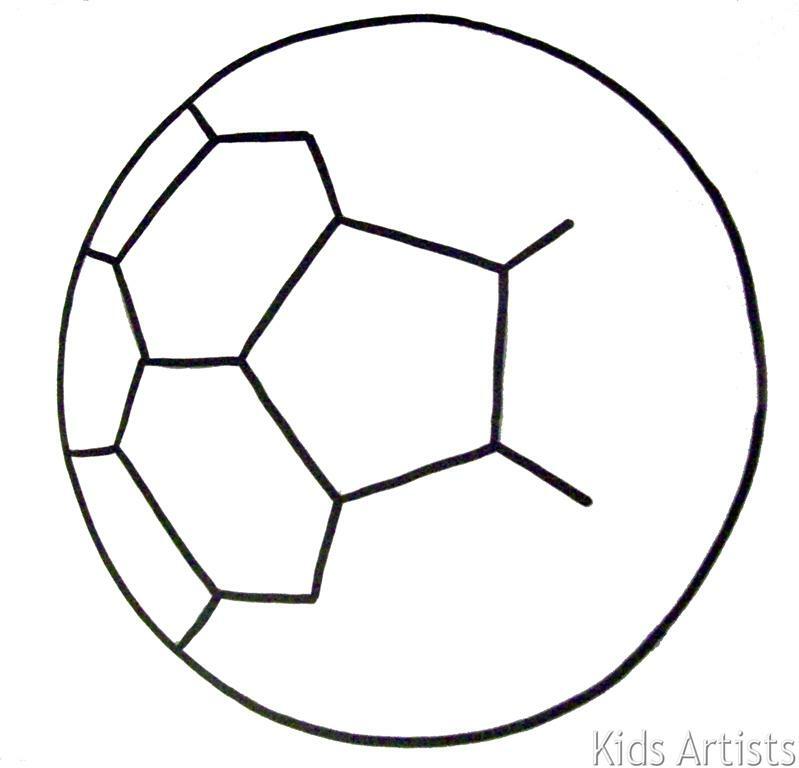 The pentagons are mostly black, the hexagons white. Give students a copy of the soccer ball. Let them finish the lines using pencil and ruler. Then all surfaces have to be filled with patterns. Students of higher grades can be asked to draw dark patterns for the pentagons and lighter patters for the hexagons. In lower grades you can ask to colour the pentagon in the middle of the ball black, and draw patterns in the other hexagons and pentagons. Cut the ball and paste it on coloured paper. Of course we chose orange!